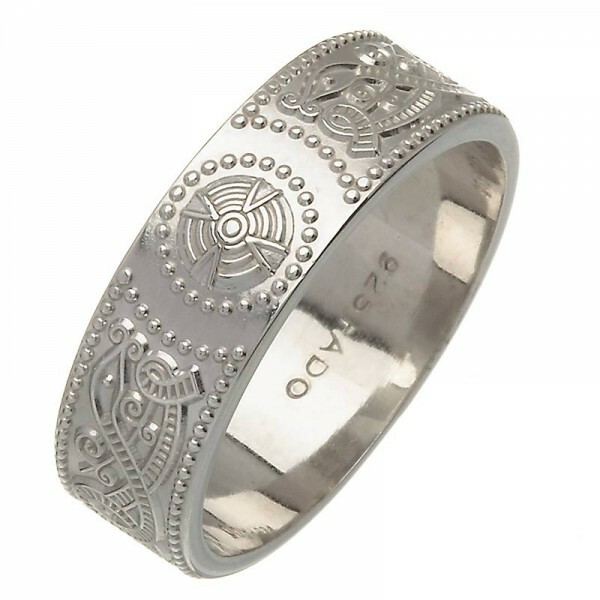 Made in 18 Karat White Gold it features the symbols of an Irish Warrior Shield - the Celtic Warriors had a code of Chivalry, Respect and Loyalty that went all the way back to the days of The Fianna. This is a beautiful Claddagh Band Ring made from Two Tone Yellow and White 18 Karat Gold. It h..
A Classic Irish Wedding or General Purpose Ring!From the Sheelin Collection - the Intertwining Knots..